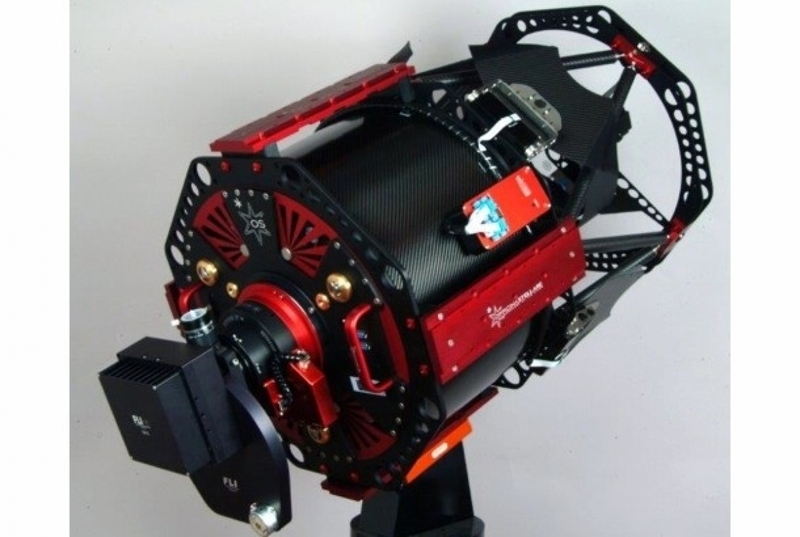 Officina Stellare is one of today's leaders in the production of high quality astronomy equipment for the discerning professional or advanced amateur. 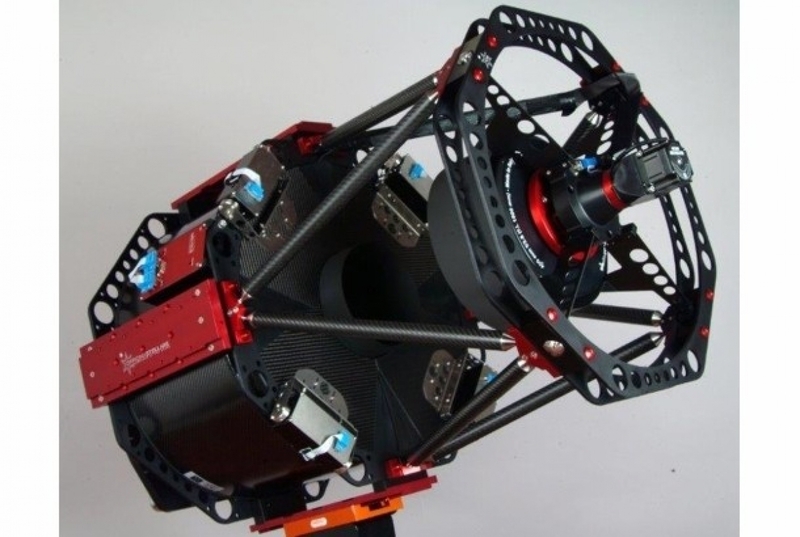 Their products can be found in observatories around the world, and their high speed tracking lens systems are a relied upon component in the industries of aerospace and defense. One of the reasons Officina Stellare is so popular today is because they listen to their customers. In fact, the RiFAst series of astrographs was created because customers asked for a fast telescope (even faster than Officina's RiLA models) with a very wide, corrected field of view. They wanted something that didn't weigh a ton, but that would accept all of the imagers, rotators, focusers, guiders, and other equipment that makes up the imaging train used by today's astronomer. It had to be a fast system. 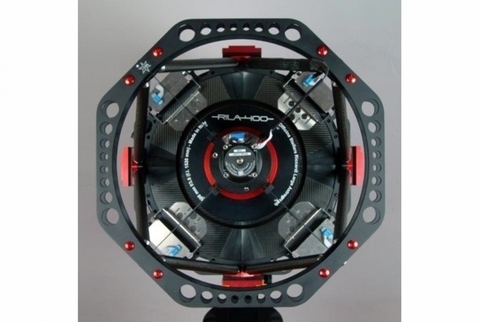 The design needed to be compact and lightweight for its aperture. It would have the least number of surfaces possible while still producing a large corrected field. The secondary obstruction would be as small as possible. These features were made a reality and then some with the creation of the Officina Stellare RiLA and RiFAst series. The design, which is a modification of the Harmer-Wynne, has an aspherical primary and a spherical secondary. A special corrector is placed just before focus. The Officina Stellare 400 RiFAst has a 16" aperture and an f/ratio of 3.8. The optics are housed in a carbon fiber/aluminum open truss tube, and there are Losmandy style dovetails mounted on the truss for mounting versatility. Three ventilation fans are part of the design, which helps the telescope reach ambient temperature as quickly as possible. The mirrors can be heated to keep dew at bay, and depending on the package or accessories you choose, most everything can be electronically controlled via the TC-1. Easy Alignment: Specially designed mirror cells and spherical secondary are easy to align. Primary cell is detachable for easy cleaning of the mirror.